On February 6, 2013, 502 MEPs voted on the RODUST report (first part of CFP) which proposed an ambitious objective of fish stocks reconstitution. Supported by an overwhelming majority, German socialist Ulrike Rodust consequently entered into discussions with the Council and the Commission. On May 30, the agreement was concluded under the Irish Presidency, but failed to give a binding time objective for rebuilding fish stocks. Here is the text of the comprimise reached at the end of the trialogue (june 2013). In Europe, the management rules for fisheries are subject to an integrated policy which establishes a common framework for all countries and allows access to all European waters for all European fishermen. CFP not only regulates all fishing activities in European waters but also the activities of EU vessels in the waters of third party countries or in international waters, it organizes the seafood market at European level and includes financial instruments. The CFP was established in 1982 and is reformed every 10 years, the last reform dating back to 2002. In Autumn 2008, the European Commission published a paper outlining the overexploitation of fish stocks in EU waters: 80% of fish stocks are overexploited. In the Green Paper published in April 2009, opening the reform process, the European Commission had itself noticed the failure of the CFP. Structural overcapacity leading to systematic overfishing. Unacceptable levels of discarded fish. Excessively high TACs and quotas not respecting scientific advice. Lack of compliance to rules leading to massive illegal fishing. Low profitability and a sector often not economically viable. Financial assistance to fisheries contributing to overfishing. The CFP and its associated funds primarily benefit the most intensive fisheries, the most destructive practices corresponding to an industrial minority. Only an ambitious reform of fisheries governance in Europe can help reverse the trend. One explanation for the failure of the CFP is the weight of countries with fishing interests such as France and Spain, voices of the lobby of industrial fishing in European decisions. Since the arrival of Mrs Damanaki, the Commission has shown strong ambition and a willingness to make fisheries more sustainable. This ambition has always provoked the hostility of France and Spain. On July 13 2011, the European Commission published a proposition to be considered by the Parliament and the Council. It is therefore not a definitive text, but a proposition that will evolve before its adoption in 2013. NGOs BLOOM, Fondation Nicolas Hulot, Greenpeace and Ocean 2012 indicate some important points about the Commission’s proposition aimed at reforming the CFP. 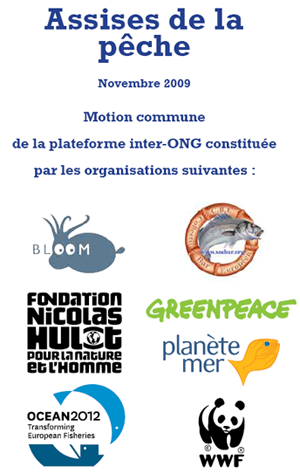 NGOs BLOOM, FNH, Greenpeace, Ocean 2012 and WWF published a note on the text of the CFP. With WWF, Greenpeace and the Nicolas Hulot Foundation, BLOOM launched a platform for NGOs to carry a unique long-term vision of what could be a balanced and sustainable relationship between humans and marine resources (bearing in mind that fish are the last wild elements of the human menu along with mushrooms). Common programs of NGOs feed the debates in consultations such as the Grenelle de la Mer, the French Audience of Fisheries and the reform of The Common Fisheries Policy. 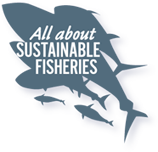 70% of fished species in EU waters are overfished (European Commission, 2011). The European fleet can fish two to three times more than the capacity of natural replenishment (European Commission, 2008). With 5.1 million tons of catches in 2007, the European Union is the third world power in terms of fishing activities, after China and Peru (European Commission, 2010). 80% of European fishermen practice coastal and small-scale fishing, receiving only about 20% of the quotas allocated by the EU. Industrial fishing, meanwhile, monopolizes the remaining (data of the European Commission). Fishing less allows stocks to recover. But it also, ultimately, allows fishermen to catch more (European Commission, 2009). In some fisheries, bycatch (dead or dying fish discarded at sea) may constitute up to 60% of the catch (European Commission, 2008). 93% of cod from the North Sea are fished before they reach reproductive age (European Commission, 2009). Industrial fishing has decimated populations of Atlantic bluefin tuna: the current stock no longer corresponds to 15% of the initial stock (ICCAT, 2009). Nearly a quarter (1.2 million tonnes) of European catches are taken outside EU waters, that is to say in international waters or those of other countries (European Commission, 2008). Each year, EU taxpayers pay 158 million euros to enable EU vessels to fish in other countries (European Commission, 2008). 65% of seafood consumed in Europe is imported (European Commission, 2008). The EU recognizes that in most member countries, the cost of subsidies and administration of fisheries exceeds the value of catches (European Commission, 2009). Each year, illegal fishing causes a shortfall estimated at 35 billion euros. Over the past 30 years, total losses reached two trillion dollars (World Bank, 2009). Despite efforts to fight against illegal fishing, the EU might import each year 1.1 billion of illegal catches. This “optimistic” estimate is based on data from 2007 (European Commission, 2007). The Common Fisheries Policy (CFP) was created with the permission of the sector. The Treaty of Rome of 1957 already provided that, like agricultural products, marine products could be exchanged in a common market to organize and develop the sector. In the 1970s, the new Directorate General of Fisheries established the principles of the CFP: free access to European waters for the fleets of Member States, market organization, accompanying the structural funds of the sector and external dimension of the CFP (fisheries agreements with third party countries, participation in meetings of Regional Fisheries Management Organisations for the management of species with a wide range area such as tuna). The original philosophy was to foster the growth of the European market sourcing it with fish products, through better organization of the industry and public support for the development of production tools. Environmental constraint appeared in 1983 with Blue Europe, an EU regime for fisheries management. Discovery and late consideration of the biological limits of fish stocks targeted by European fleets led to review the principles of the CFP. From this point, rules to regulate fishing were annually established. This shows that the CFP is built on two antagonistic principles, on the one hand market structure and public financial support to increase the means of capture and on the other hand, the establishment of regulatory fishing tools (quotas, areas, licenses…). This “schizophrenia” in the construction of the CFP has led public authorities to finance the destruction of fishing vessels they contributed to pay for a few years before. European policymakers, noting in the 1980s the overcapacity of the fishing fleet, reacted. Since 1992, different Multi-Annual Guidance Plans have always aimed at reducing fishing effort in Europe. Each Multi-Annual Guidance Plan defined objectives in order to reduce power (kW) and the fishing fleet tonnage of EU Member States. Despite this desire to regulate the fishing effort overall, Europe continued to subsidize the construction of new vessels within some fleets – such as bluefin tuna and deep-sea fisheries – until the early 2000s. European fisheries are also framed by technical measures and control of access to fishing areas. A European fishing license has been set up. This licensing system limits access to fishing areas and compels those who want to access these areas to meet different technical criteria (vessel size limit, gear used…). These technical measures are also intended to improve the selectivity of fishing gear. For some fisheries, they set specific technical criteria such as mesh size or the length of the fishnets. Finally, the CFP sets for certain stocks maximum amounts of annual catch. For a given species, it sets the Total Allowable Catch (TAC) that Member States share into national quotas fixed by a key of historical distribution (« anteriority »). The CFP rules are based on the quantity but also on fishing effort. Despite this, the majority of stakeholders agreed – during the public consultation prior to the current CFP reform – that the CFP is failing. Therefore, the challenge of the new reform is colossal. For both the conservation of fish resources and marine environment but also to save the jobs of coastal communities which rely heavily on fishing activities. TACs and quotas are set by the Council of European ministries of fisheries on the basis of recommendations made by European scientific organizations. Unfortunately, in most cases, policy decisions do not follow those recommendations. The new CFP must follow the scientific recommendations if it wants to provide a future for European fishermen and save the resource. The main shortcoming of the CFP is that major decisions taken in Brussels are often difficult to apply locally. The CFP should set common objectives, define timeframes and the means provided to managers. Then, management plans must be thought out and implemented at the scale of fisheries so that they are adapted to the context and understood and accepted by professionals. The CFP cannot simply regulate the volume and the minimum catch size. It must take into account all the potential disturbances generated by the different fishing techniques. In this context, it aims at eliminating discards – the specimens caught and discarded often dead at sea – and at limiting the impact of fishing gear on the marine environment. Healthy populations of marine species not only depend on the management of their reconstitution; but also require a good state of marine ecosystems as a whole. Thus, habitats and food chain restored, stocks of “targeted species” will be better off. The main downside of the CFP is its laxity in terms of control and sanction. Any kind of fishing management model of fisheries can work if its rules are not applied. It is more economically efficient to “cheat” by considering the potential fines than respect the rules, it is the balance of the CFP that is undermined. Thus, it is necessary to strengthen the means of control and implement genuinely dissuasive penalties.